Karate is an ancient martial art built around self-defence that originates from Japan and China. It has become extremely popular worldwide, and has many variations. 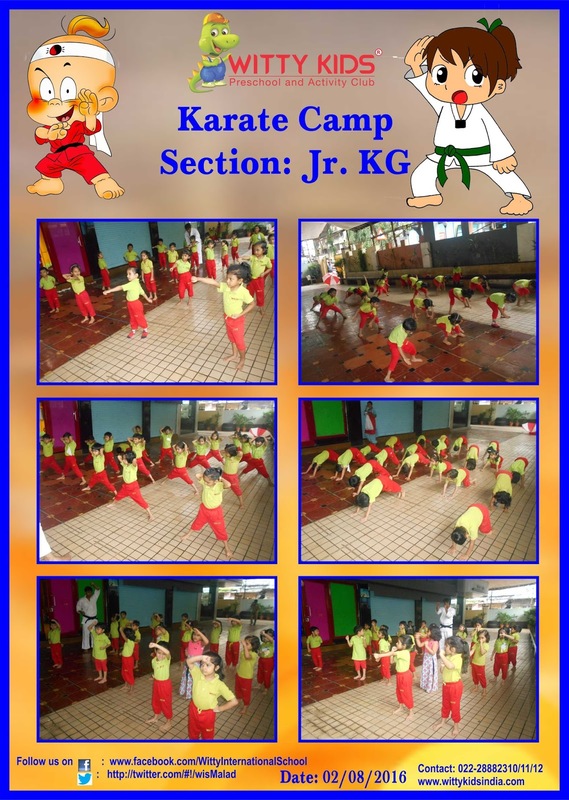 A one month Karate camp was conducted from Friday, 1 July 2016 to Tuesday, 2 August 2016, for our Jr.KG children, by instructor , ‘ Sensei’ Umang and ‘Sensei’ Nitish from ALL INDIA SHOTOKAN KARATE DO-FEDERATION. 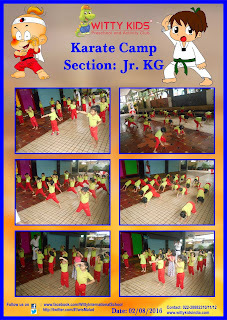 Children learnt different karate styles and moves such as Middle block, Upper rising block, Downward block, Front kick, Side kick and many other styles. It was indeed a learning experience for the little Wittians! !